Ranveer Singh, who is gearing up for his wedding with Deepika Padukone, was spotted outside his house in Mumbai today. The actor looked super happy and waved at the photographers. Kareena Kapoor Khan was spotted outside her gym in Bandra. The actress carried a white t-shirt and paired it with black jeggings. Bebo is currently prepping for her next 'Takht'. Malaika Arora too was spotted outside her gym. Bebo and Malaika arrived at the same time to the gym. 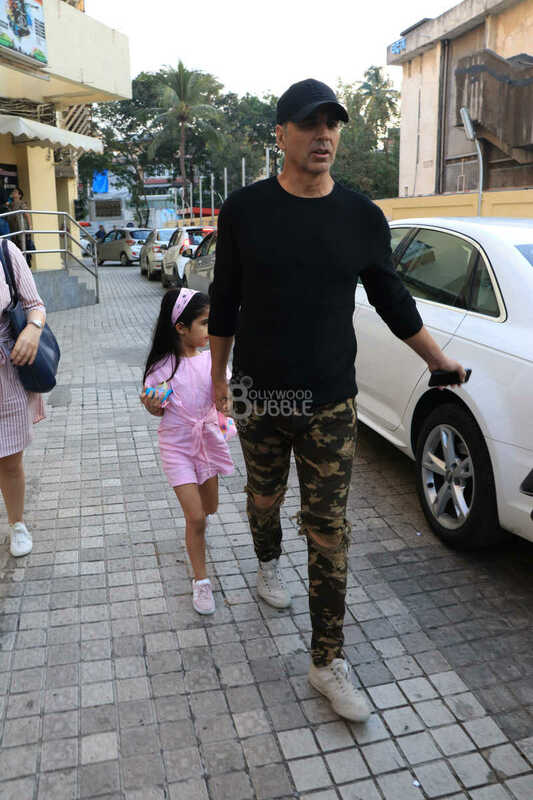 Akshay Kumar was spotted outside a film theatre in Juhu. 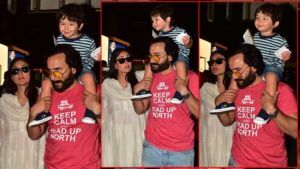 The actor was accompanied by daughter Nitara and wife Twinkle Khanna at the movies. Twinkle looked amazing in her pink dress which she carried alongside black shades and a bag. Amrita Arora was also spotted outside her gym in Mumbai. 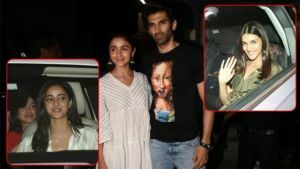 Sara Ali Khan was also seen outside her gym in Bandra. 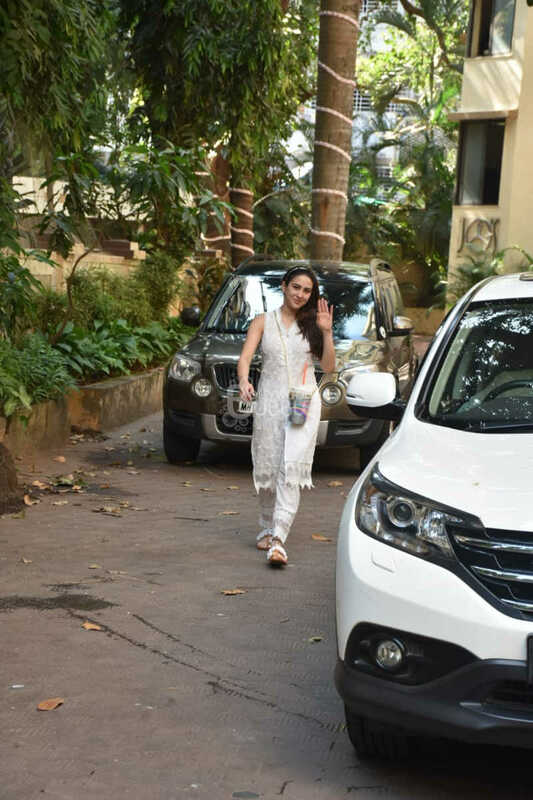 She carried a simple white dress and was also waving at the shutterbugs.